Chile is nature on a colossal scale, amazing landscapes and a land of extremes, travel however is surprisingly easy. Chile stretches from the belly of South America to its foot, reaching from the driest desert on earth to vast southern glacial fields. Diverse landscapes unfurl over a 4300km stretch: parched dunes, fertile valleys, volcanoes, ancient forests, massive glaciers and fjords. Chile is a long narrow country which extends like a ribbon down the west coast of South America. While the coastline is over 4,000 miles (6,437 kilometers) long, it is only about 61 miles (91 kilometers) wide. Cape Horn is the southernmost tip of South America. In the past, ships had to round the horn to sail from Pacific to Atlantic ports and to Europe before the Panama Canal was built. Cape Horn is known for high winds and treacherous waves. Today only about 5 percent of the population is native Mapuche and other indigenous groups. Nearly 95 percent of Chileans have a mixture of native and European roots. There are areas in the south where the Mapuche live, speak their language, and practice their own religion. About 40 percent of the population lives in the area around the capital of Santiago. Children in rural areas need to wake up at 5:00 - 6:00 a.m. to walk to school or meet the bus. Their journeys sometimes take two hours each way. After school, they help their parents in the fields and do their homework. The region is rich in natural beauty and plant and animal life. The long coastline is home to penguins, pelicans, and sea lions, and migratory whales can be seen in the waters as they journey to and from feeding and breeding grounds. Puma, alpacas, vicunas, foxes, condors, and flamingos are all found on the diverse landscapes of Chile. The Atacama Desert is one of the driest areas on the Earth. There are many species of reptiles and cacti. The country's rich supply of copper is also found in the desert region. The northern part of the country was ruled by the Inca before the Spanish took control in the 16th century. Native Mapuche people lived in the southern and central regions before the country became a Spanish colony. The country gained independence from Spain in 1810. Toward the end of the 1800s, many Europeans began to settle in Chile, including Germans, French, British, and Italians. Many Chinese moved to Chile to help build the railroad. Wine Culture. Before wine became an export commodity for the luxury set, humble casks had their place on every Chilean table. Grandparents tended backyard orchards. 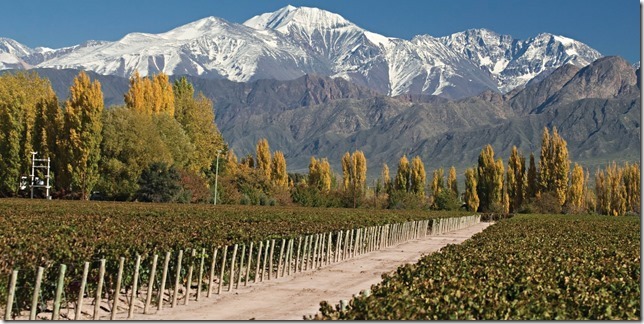 Now, Chile has become a worldwide producer catering to ever more sophisticated palates. Rich reds, crisp whites and floral rosés, there is a varietal that speaks to every mood and occasion. Visits to Moai statues, hiking, horseback riding, biking and diving are all options on this tiny island. Day 1: Fly to Easter Island. You take the morning plane to Easter Island (the natives call their island Rapa Nui or Te Pito o Te Henua, "the navel of the earth") from either Santiago, Chile, or Lima, Peru. You'll be met at the local airport and transferred the short distance to your family-style hotel minutes from Hanga Roa, a small township where Easter Island's 2,500 inhabitants live. Or send your luggage ahead, and stroll to the hotel on foot, enjoying your new tropical home for the next few days. Day 2: Ahu Vaiha - Rano Raraku - Anakena. Early this morning you start your tour of the island by driving along the southern coast. Your first stops are at Ahus Vaihu and Akahanga. Ahu, which means "sacred place," refers to the rectangular stone platform on which the famous Moai (enormous, 100-ton basalt statues) were often erected. Next you head to the volcanic crater of Rano Raraku. This might be the most impressive site on the island. Seventy standing sentinels, embedded up to their shoulders in grass on the south slope of the volcanic crater Rano Raraku, lead the way to the quarry or "nursery" inside of the impressive crater rim. This is where the Moai were cut from volcanic tuff, and some 150 figures remain here in all stages of completion. They are mute witnesses to the mystery that suddenly stopped all work. You visit the Ahu of some of the nearby Moai, and check out the holes in the crater rim that were used to maneuver the statues. You drive to Ahu Te Pito Kura on the northern coast and visit the Anakena beach, the legendary landing place of the island's founder Hota Matua. After swimming and relaxing in this piece of South Pacific paradise, you'll return to the hotel for the evening. Day 3: Orongo - Ahu Vinapu - Ana Kai Tangata Cave. You drive to Rano Kau volcano, the biggest on the island, whose enormous crater is now a fresh water lake with floating green fields of totora reeds. This site offers an exceptional view of three tiny and craggy off-shore islands: Nui, Motu and Kao-Kao. Perched 400 meters above the lake on the crater wall is the ceremonial village of Orongo, where the bizarre "bird man" ritual took place. The partially restored village has 48 oval buildings built out of overlapping stone slabs. Over the cliffs you can see an amazing string of "bird man" petroglyphs. The Ana Kai Tangata cave sits at the end of a beautiful little bay. A rocky trail leads you to the cave entrance, and venturing inside you see a few paintings relating to the birdman culture. Once you've explored the cave, you'll return to your hotel and have the afternoon free. Day 4: Ahu Akivi. At the ceremonial center of Ahu Akivi there are seven standing Moais who unlike most others, look out at the sea. It is said they represent the sons of a Maori sorcerer sent to search for Rapa Nui, the home for King Hotu Matua. However, Georgia Lee states "their function was to look out over the ceremonial area... the ocean just happens to be out there in the distance." Approximately a week after the spring equinox, the seven statues all look directly at the setting sun. This inland ahu was restored in 1960, and all around the site are volcanic caves which you are free to explore. The most impressive caves are called "Two Windows" and the "Cave of the Banana." 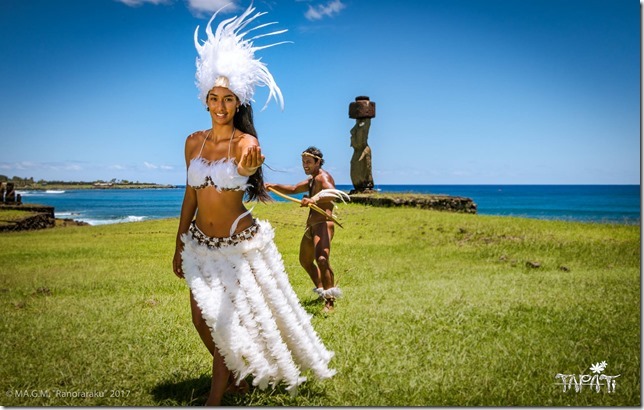 Before returning to your base, you'll visit Ahu Tepeu and the quarry Puna Pau, where topknots - hats or hairpieces for the Moai, in essence - were carved from the soft volcanic scoria. Return to your hotel in the afternoon and explore on your own! Day 5: Fly to Santiago. Enjoy a relaxing morning in Hanga Roa before taking the flight back to Santiago, Chile. Individual tailor made tours with private or group transfers. 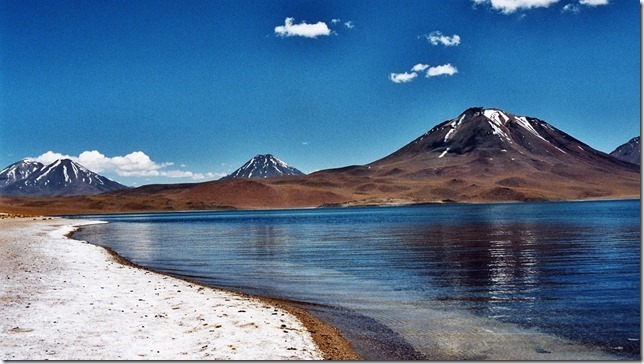 Sample itinery of 14 days from San Pedro de Atacama to La Paz including Bolivian Amazon rainforest & Titicaca lake. • Departure: 16 hrs from San Pedro. Return: 20.30 hrs. On this tour we visit the wonderful Cordillera de la Sal wonderful, the viewpoint of Cari Canyon, and the most attractive places in the Valle de la Luna, where we await the sunset. • Departure: 04.00 hrs., From your hotel Return: 12 hrs. Approx. From San Pedro we travel directly to the geothermal point, located on the 4,300 m.a.s.l. At the site visit the field of geysers, fumaroles and where you will see water sources, also visit the thermal baths, while enjoying breakfast with the views of the geysers. Back to San Pedro we visit the village of Machuca, where you can taste the local cuisine. At end we visit and enjoy the thermal baths at Puritama. • Departure: 07 hrs., From the hotel Return: 15 hrs. Breakfast at the hotel and start the journey to Tahua, visitagainacrossthe salar, visit to the desert of Siloli, small lagoons: Cañapa, Honda, Chiarkhota, Ramaditas, the Mirador de Ollague, the cave of theGalaxies, the cave of the devil. Box lunch on route. Fixed menú, dinner and overnight at the Hotel de Sal in Tahua. • Tahua – Salar de Uyuni - Uyuni (Breakfast, Lunch) Breakfast at the hotel and start the journey to Uyuni, visit around the Thunupa volcano, Isla Pescado. Lunch at a restaurant. In the afternoon we continue to Uyuni, on the route we visit the montones de sal, the handcrafts of salt, Ojos de Agua. Arrival to Uyuni and transfer to your hotel. • Pick up from your hotel for a 03 hours tours approximately, visiting the city, observing: the Moon Valley, the residential neighborhoods, the district of Miraflores, the replica of the Semi-subterraneous Temple of Tiwanaku, the Killi Killi viewpoint, the Plaza Murillo (Government Palace, Congress and the Cathedral), the Jaen street, the Gold Museum, the area of the Black Markets and the Witches Market. Ending the tour at your hotel. • Pick up from your hotel for a tour of approximately 05 hours tovisit the ruins of Tiwanaku. On the way visit the Apacheta of Lloqo Lloqo from which we'll see another side of the Bolivian highlands, arriving at the ruins after 01 hour and a half. Visit to the Museum of Tiwanaku. Then we start the tour of the archaeological site to see the sacred religious precints, stone carved monoliths and the famous Puerta del Sol. Return to La Paz. • In your first day of your three-day adventure your guide will take you back in time as he leads you through the rainforest and shows you the ancient trapping methods of the Tacana. Learn how the Tacana outfoxed their prey with unique and interesting traps that helped them catch dinner. Your guide will show you how each trap works, as well as the medicinal plants the hunters would collect as they checked their traps. After returning to the lodge you can go wash up and sit down to a delicious lunch (vegetarian options included with advance notice), which includes all locally grown ingredients. Go rest in a hammock after lunch and enjoy the tranquillity of the river and sounds of the jungle. After you are recharged your guide will take you to visit the community of San Miguel, a Tacana village, to experience how tourism and your money has helped the San Migueleños improve their day-to-day lives. Take a stroll through the village as your guide explains how the community is organized. Visit the school, your guide's home, learn how to weave, make a thatched roof, squeeze sugar cane yourself and enjoy a sweet and refreshing drink (best served with some lemon). Your visit to the community of San Miguel will give you a look at how the Tacana villagers live day-to-day as well as let you see the great things your money is doing as a client of the community owned lodge! Enjoy your dinner and relax the rest of the evening in your cabin or in the hammock hut. The guide will pick you up to take you to the river Beni to take the boat to Chalalán. The boat trip is an opportunity to appreciate the Bala Canyon on the Rio Beni to Madidi, then enter the river Tuichi observing wildlife and spectacular scenery of the Bolivian Amazon. Box lunch or tapeque halfway. Arrival at Chalalán. After lunch we have the ability to swim in the lake or relax in hammocks or chairs of your cabin or room. Short walk along the path where the guide will do an explanation of the construction plants, woodtools, palm trees and the traditional and sustainable use of resources. Dinner in the dining room of the hostel. Activity: Observing amphibians, reptiles, insects, spiders, rodents, birds and nocturnal monkeys. Ideal for listening to the sounds of the jungle. All meals included. • Your day starts with tropical bird songs and a nice breakfast by the river. Once you are done your guide will sit with you and explain the day's activities. Today you have the option of staying in San Miguel for the morning to enjoy some of the other activities offered in the area (canyon, natural pools/waterfall, or medicinal plant walk). If you want to spend more time inside Madidi National Park you can choose to leave early after breakfast to go up to the cabins inside the national park. The trip to San Miguel's cabins inside Madidi National Park is a wonderful 1 ½-hour boat right up the Beni and then into Madidi National Park by way of the Tuichi river, a smaller, more intimate body of water that allows for more animal and bird sightings. Once you have arrived at the cabins in Madidi and are settled into your rooms, your guide will open your eyes to the magic of Madidi, one of the most biodiverse protected areas in the world. There are 7 trails leading away from the cabins of varying levels and distances. 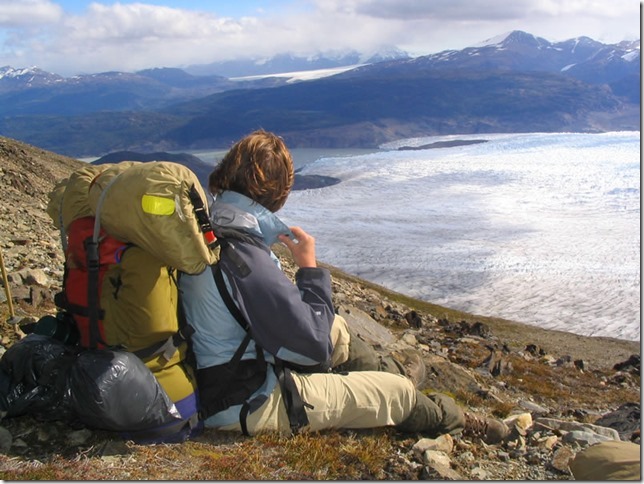 Your guide will consult the group and determine how long and what level of treks the group wants to do. Take walks by day and night to see how the forest changes with the setting of the sun. Enjoy the same quality meals you had in San Miguel during your stay in Madidi. Relax and enjoy being in the middle of the amazing Madidi National Park in between your adventures into the park. The schedule can be adjusted in coordination with the guide according to your interests. (Eg birdwatching, breakfast at 5:30 am). During the morning walk along the path Tapacare, where you can observe and learn about the forest and wildlife. Optional Subjects: natural interpretation of the forest, animal behavior and observation of birds and mammals. Cultural and historical themes. Return to the lodge for lunch. After lunch time to rest or swim in the lake (optional). During the short afternoon walk by the system of thematic trails where visitors can learn about medicinal plants and discuss the themes or activities of interest in the forest. Dinner of catfish wrapped in leaves o rfish tacuara in bamboo from the Bolivian Amazon. * The traditional dinner is subject to the availability of fish. Brief night time activity at the lake or along the path Paraba. All meals included. • Your final morning in Madidi National Park starts off with a breakfast that will get you ready for your morning activities and the journey back. On your last day you will receive lunch as well as you return to your cabin and pack everything up. On your way back to Rurrenabaque you will stop off to observe the magnificent macaws that make their nests in the cliffs along the TuichiRiver. You will get back to Rurrenabaque. We walk the Path Jaguar or may be adjusted according to the interests of our visitors in coordination with the guide. Return trip to Rurrenabaque, takes only 3 hours. Arrival in Rurrenabaque and transfer to the airport. • We pick you up in the morning from your hotel and departure by private transport for a 02 days tour with destination to Copacabana and Sun island. We continue our journey towards the Tiquina Strait and then to Copacabana. Lunch. We embarked on a private boat towards the island of the Sun. Later we visited Pilcokaina, a former pre-Inca palace ruins. Then we walk to the Inca stairways. Return to Copacabana in private boat. Dinner and overnight in a hotel of your choice. • After breakfast, we visit the sanctuary of the Virgin of Copacabana and ascend to the Cerro Calvario, an ancient pre-Hispanic pilgrimage place and we will visit the surroundings of the village. Lunch. Return to La Paz. Transfer to your hotel. • Bus Copacabana – Puno (in the afternoon).